T. rex SOFT TISSUE! YESsss! These photos are of original biological tissue from a Tyrannosaurus rex. Banana Islamic Republic: Iran says (1) Israel must be destroyed, and (2) Hezbollah is winning the war. So then why is Iran leading the whole Islamic world in demanding a ceasefire? To spare the Jews? Puh-leez! Bob Gets a Traffic Ticket: A simple ticket gives Bob the opportunity to expose the justice system's major conflict of interest (collecting fines), the temporary-insanity shoplifting defense, and the judges systematically training millions of people to lie to the court! * Dr. Ed Holroyd: From teaching students at the University of Denver how to read satellite images, Dr. Ed Holroyd then brought his expertise to exciting ministry efforts including the search for Noah's Ark! This show is a Special Edition of Real Science Radio! * SPECIAL PROGRAM: Today's program, March 9, 2006, marks the first time that Fred Williams joins Bob Enyart in the special science programs that come to be named, Real Science Radio! 2011 Moon Dust UPDATE: See Dr. Walt Brown's brief summary and then his careful analysis of how much dust should be on a four-billion year old moon. This program is considered a special edition of Real Science Radio because of it's segment on the transient nature of Saturn's rings. 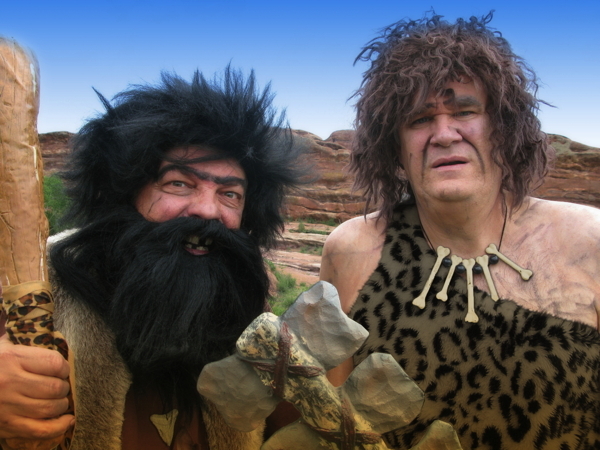 Archaeologist Steven Baird, of EvolutionOnTrial, talks to Bob about the debunked claim that mankind evolved from Lucy. This is a special edition of Real Science Radio.